You like to meet new people or to chat with people worldwide? Luckily for you there are many apps that can help you do this easy. They connect you to people you can share a meal with, locals who want to party with tourists, and even people who share your same taste in music. They help you find real friends who you share deep common interests with. For this purpose, there are many apps that can help you. We have for you one amazing app – Bamsemi. Let’s see what this app offers you. Bamsemi is easy and simple to use communication app that is developed for android users and it is a map based social network service. The app can be used for meeting people and finding new friends from the whole world with just picking a location by preference. The users can use the app for expanding their social circle through the world, practicing a foreign language or even plan their next traveling destination. 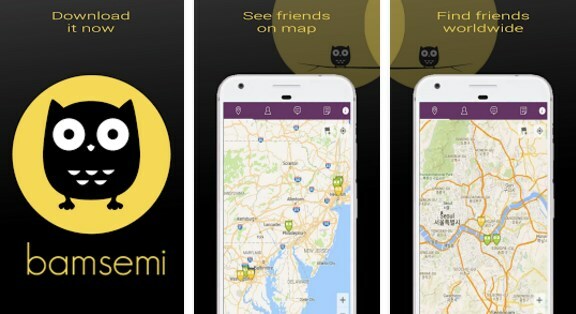 On this app, the users just need to create their profile and they can find all the Bamsemi users on the map. The users can create their profile, find other people’s profiles and view them, send friend requests to people they like and engage conversations with people in a nearby chat. Using the map, the users can pick a location they like and meet local people from that area becoming friends with them. The app allows the users to post and like or comment other user’s posts. Also, the users can place a flag on their location for setting a memory and even comment on other people’s location flags. Expand your social circle and find friends worldwide!